Wikipedia has turned 10, with the online encyclopaedia becoming one of the most used and useful knowledge bases on the planet, and aiming to hit one billion users a month by 2015. 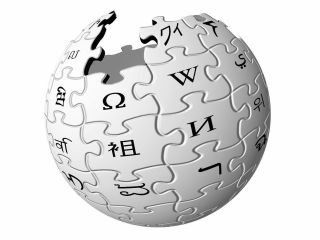 Wikipedia is now being read by 400 million people every month, accessing the 17 million articles in 270 languages on everything from Aardvarks to Z Tables (a mathematical table for the values of Φ). Jimmy Wales, founder of Wikipedia, recalled: "It's hard to imagine that it's been 10 years since I first edited Wikipedia. I remember that first day. "I clicked on 'Edit' and I wrote 'Hello World', and that was the beginning of Wikipedia and all the things that have come since then," he added. "I want to thank everyone who has helped. "I want to thank all the people who have edited Wikipedia, who have contributed to this great knowledge base. "I want to thank everybody who is reading Wikipedia, who is really engaging with ideas and knowledge. That's what we made it for: we made it for you to read." The first articles included 'Astonomer' offering the sentence "Scientist whose area of Research is Astronomy." And 'Sweden' : "Country in Northern Europe. Inhabitants are called Swedes. Language spoken is Swedish. Capital is Stockholm." From acorns… Happy birthday, Wikipedia.